STAR-Triton is part of a new generation of pavement sealcoatings that are high performance and effective alternatives to both refined tar and asphalt emulsion sealers. It has an extraordinary degree of toughness and water repellency. STAR-Triton forms a tough, durable and flexible coating that protects asphalt pavements from damaging elements of weather, water penetration, de-icing, salts, traffic damage, surface raveling/checking, gasoline and other petrochemical contaminations. It increases the life of your pavement by 300% or more, at one third the cost of new installations. 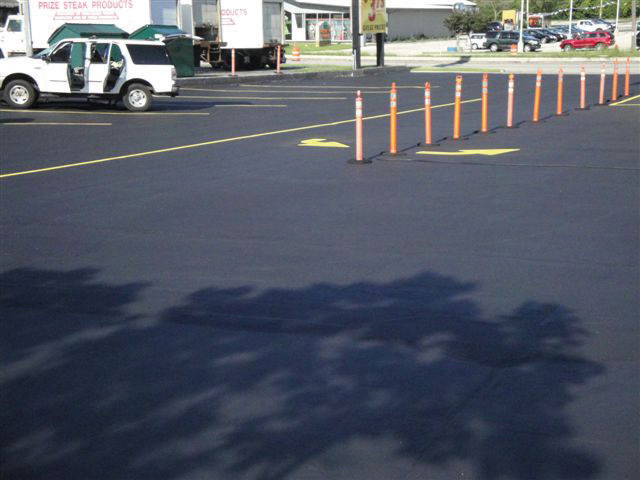 STAR-Triton is recommended for all asphalt pavements; home driveways, commercial parking lots, apartment complexes, restaurants, schools, gas stations, truck terminals, air fields/taxiways/airport shoulders, and much more.